You were at the receiving end of some pretty personal nastiness and criticism after the release of ‘Bombay Velvet’. How do you look back at that now? It was shocking and threw me off completely. But it’s good because after that hopefully all the venom is out. I thought to myself what is it that I have done for people to hate me in this way? I don’t think I did anything consciously. I was fighting my own battles and because of that I became the underdog and a mythology was built around me. Mythology is always built by people who don’t know you. I got an image of a guy who fights back, because I speak straight and don’t shy away from confrontation, and that was taken as aggression. Also, there was my blog, and in the beginning I was just pouring out my anger and frustration without knowing the reach and impact of the Internet. The media likes labels and started labelling me the poster child of indie cinema at a time when they didn’t even understand what indie cinema was. People know you by the work you have done, but discount the 16 years it took you to get there. But I have been steadfast and I have also let go of certain things. I think the resentment was building for several years, and then what put them off further was when the films started travelling to festivals and getting such a high profile. In an interview at the time of the ‘Bombay Velvet’ release, you said you were moving to France, but here you are. That was miscommunication. The interview in India Today was done in February but it came out during the release. I was meant to leave after Bombay Velvet. That decision was taken long back. I had plans of things happening abroad. But when the film bombed, things changed. I had rented an apartment, etc. but I didn’t want to leave after losing money for my company and everyone. So I decided to stay. I let go of my project outside because Phantom Films (the production house that he runs with Vikas Bahl, Vikramaditya Motwane and Madhu Mantena) is also my responsibility. In one year, we lost ₹ 150 crore (Bombay Velvet and Bahl’s Shaandaar). Now no one is ever going to give us that much money to lose. That’s rock bottom. So the only way then is up. And we decided to crawl up. Vikas is focusing on development and a writer’s lab before he gets back to direction. We need to bring in new blood and we are working towards that. We got the check and balance at the right time. In a recent interview, Naseeruddin Shah said you got greedy with ‘Bombay Velvet’. He knows me very well. He sees my movies, we talk, and he’s partially right. It was my greed to make a bigger film. In my mind it was a good greed, but in greed sometimes you lose perspective. Plus there was a media backlash and constant speculation on the film. I was on the back foot and made some bad decisions. However, there is no apology for the film—I made the film I wanted to make. I sometimes feel I had the cut; I had arrived at my film. And then we just got carried away and it became something else. In an attempt to make the pace faster, we lost the audience because while we knew the story, the audience did not. Would you ever like to give comedy a shot? Even if I do a comic film, it will have bite. I think all my dark films also have humour. Nawaz’s character in Raman Raghav 2.0 is funny, without being funny. He’s just so odd, which makes him funny. In truth, I am fascinated by the other side. We are so conditioned by everything that is happy and sanitized that I wonder how come nobody asks those film-makers, “Are you really that happy? Is your world really that beautiful?" It is important for me to explore that dark side, and also dark films are more visually cinematic and the language of cinema is much stronger than in a lighter film. How different is your version of Raman Raghav from Sriram Raghavan’s film? My career started with Sriram on that film. That’s where my awareness of Raman Raghav began. I was obsessed with him and kept exploring his story. But there is a lot more about Raman Raghav that was left unexplored largely because of what you could or could not show on screen at that time. Vasan Bala’s biopic of Raman Raghav was ready in 2008 and was with Nawaz from that time, but after Bombay Velvet we were told we couldn’t make it. We were heartbroken. And then I wondered if we could do Raman Raghav 2.0. Vikas loved the title. So, yes, the title came before the script because I then took Vasan’s script with his permission and did a contemporary retake on the biopic. So while Nawaz’s character borrows a lot from the original, it is not a biopic at all. What makes you stick to being a genre film-maker? I am a genre film-maker, yes. Dev.D is a genre film. And genre film-makers have their own world. And they sell surprisingly well the world over. If my films don’t have stars, then Indian distributors don’t know how to sell them to the non-diaspora. So it’s up to me to find buyers and my audience is the non-diaspora. The diaspora will see my film, online or on DVD, because the distributor feels that my film is not going to work abroad. Therefore, a film festival is important for me. At Cannes, I first get my French distributor. It’s a business strategy and it helps with my film’s release here too. You come back from Cannes and release the film here quickly. With Ugly we lost a lot of momentum, but we are capitalizing on it with Raman Raghav 2.0. How heavy is the indie-cinema-poster-boy crown now? I have thrown off the crown. It’s in the dustbin. I am not catering to anyone’s expectation of me. If people want to call me poster boy, it’s their problem, not mine. I only do what I want to do and be on my own journey. Abhishek Chaubey’s ‘Udta Punjab’, which Phantom has co-produced, ran into problems with the censor board. What is the solution to the constant battles film-makers have with the censor board? 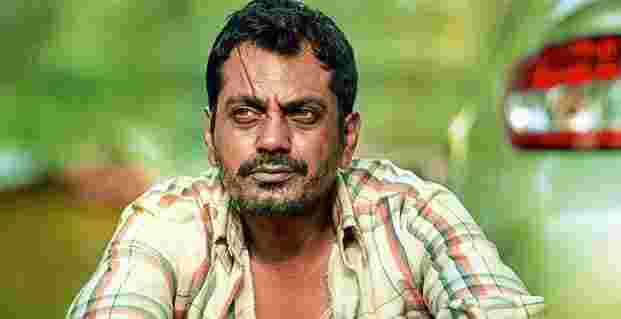 Issues regarding Raman Raghav 2.0 were getting mixed up with Udta Punjab. We went to the tribunal for the screening of Raman Raghav 2.0. I am asking for an A-rating without cuts for Raman Raghav 2.0. Abhishek Chaubey, Balaji and others are taking care of Udta Punjab, which has been referred to the revising committee. It has not been given any cuts or a censor certificate yet. Well, I hope the (Shyam) Benegal committee’s report is implemented. There is a process, but a lot of film-makers don’t know the process. They go to the examining committee and they react to that and there’s drama. All this begins because they go to the censor board too late. I know the process and gave myself enough time to get Raman Raghav 2.0 cleared. Is ‘Giddy’ your next film? Yes. Giddy is a psychological horror written by Avinash Sampath. There are two more scripts I am working on. One is called Choked, which I have also bought, and another is a north India-based script. I am going to make two small-budget films a year and be the David Dhawan of low-budget. Raman Raghav 2.0 releases in theatres on 24 June.